I need to get rid of my embarrassing tattoo! FADE YOUR TATTOO FOR A COVER UP, OR JUST GET RID OF IT - GET YOUR DISCOUNT NOW! Yes, I am interested in having a free consultation and £15 off my first session. No! 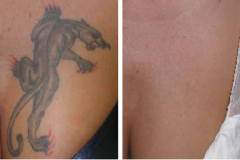 Laser tattoo removal should not scar you. Instead of forcing ink out through the skin, it breaks it down so your immune system can attack and pull it out through your lymphatic system. 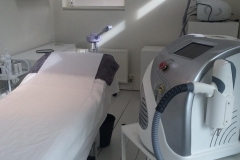 Scars are only ever a result of poor aftercare, and this will be explained at your consultation. It feels like an elastic band been twanged against the skin. 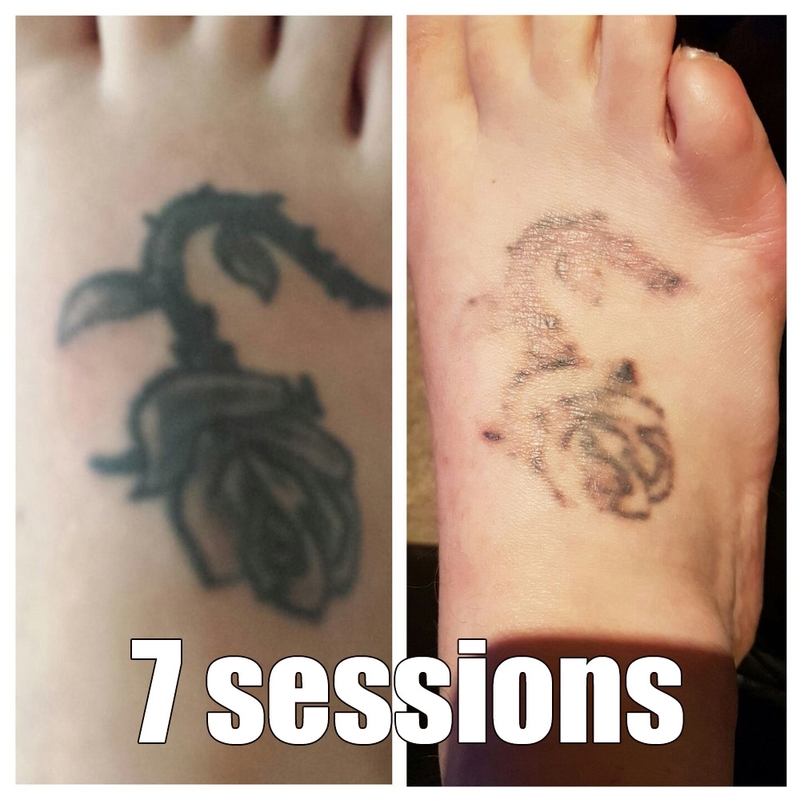 So whilst not painless, it’s quicker than getting a new tattoo, and the discomfort is probably no more than you experienced when you got the tattoo initially. Discomfort is reduced by applying anaesthetic cream beforehand. 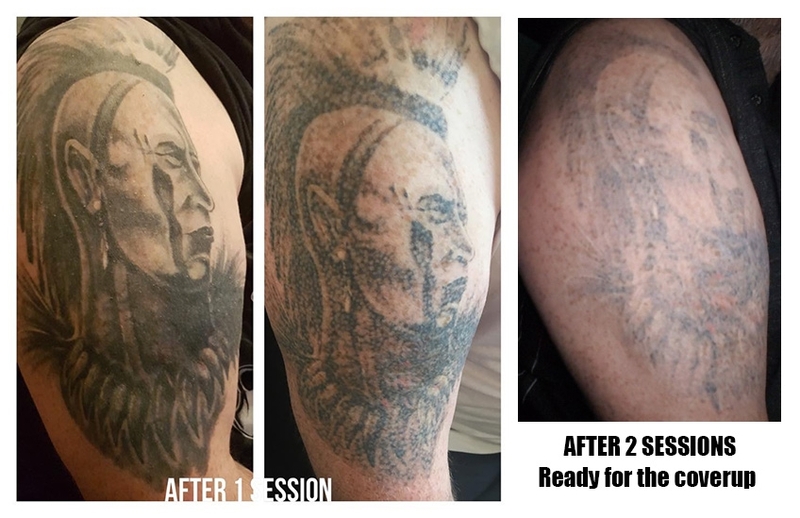 The number of sessions is dependent on the tattoo complexity, ink type, colours used, tattoo depth, tattoo age and skin colour of the client, as well as how well the client’s body takes away the broken down ink. 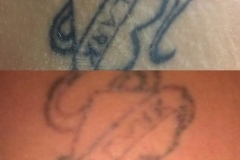 5-15 laser tattoo removal sessions may be required. 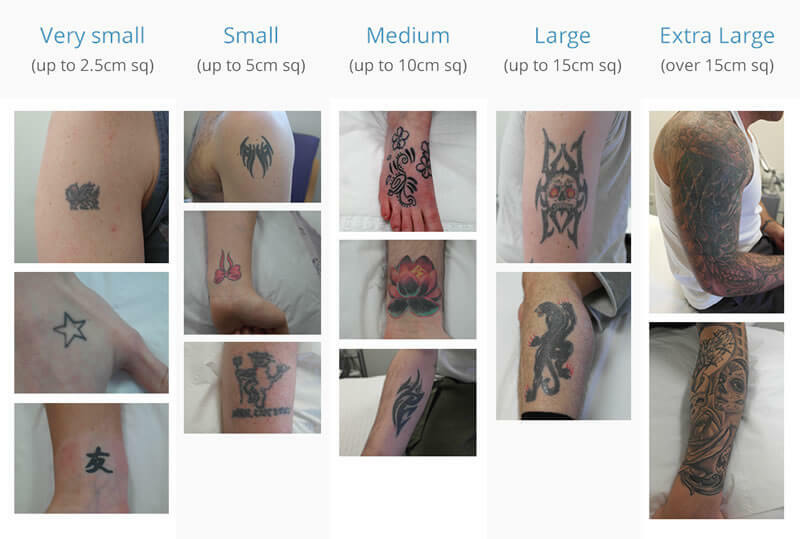 Session times vary dependent upon the size and complexity of the tattoo and patient sensitivity. Zena uses the R20 technique to reduce the overall number of sessions. 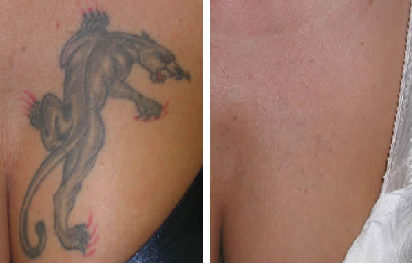 This involves passing over the tattoo with the laser twice in one visit. This is used only after at least one normal session has been done with no problems first. 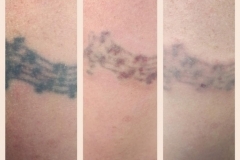 Most colours can be removed with laser tattoo removal. 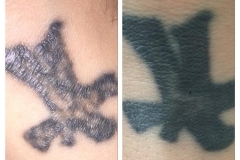 Black, dark blue and red tattoos respond really well to laser removal. 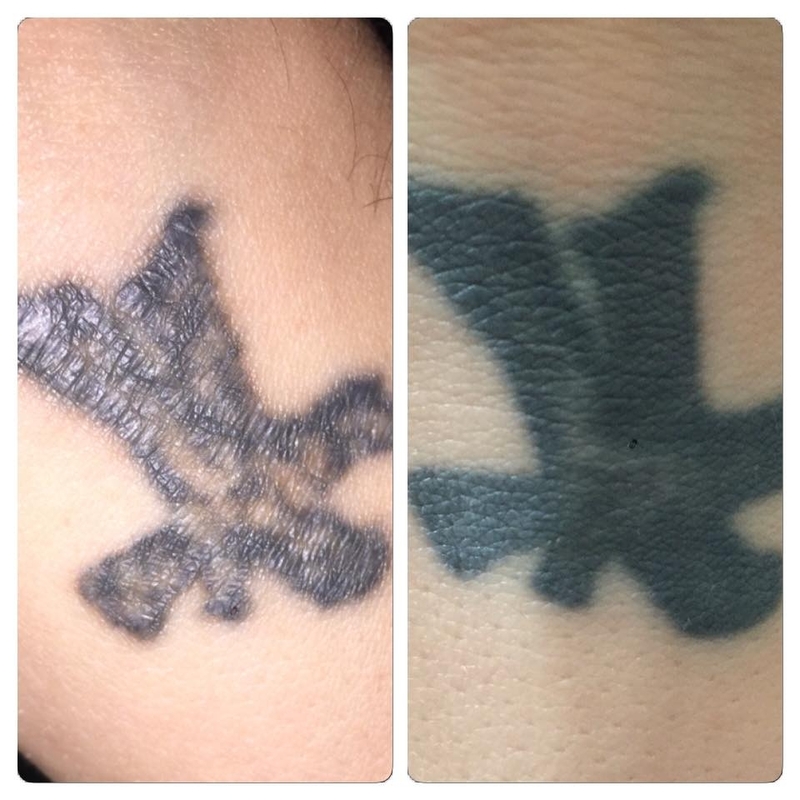 More difficult tattoo colours to remove are white, yellow, purple and pink, but are easier to cover up. Green is probably the most difficult tattoo colour to remove. 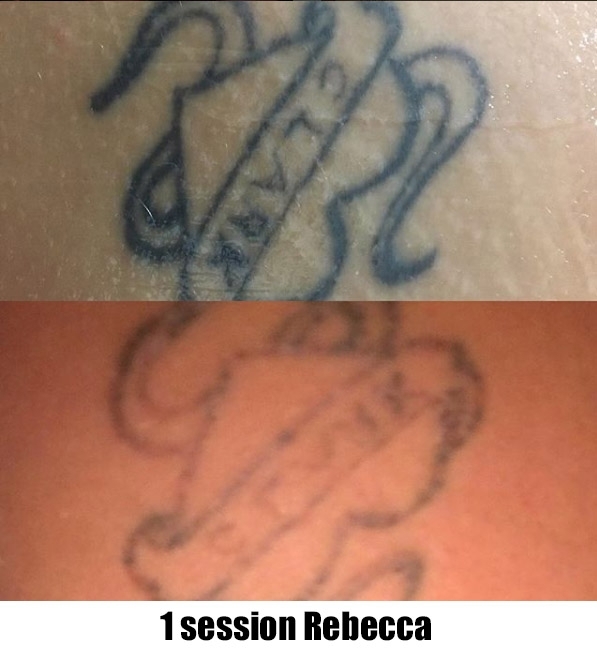 Can you fade a tattoo before a tattoo coverup? Most of the time yes. 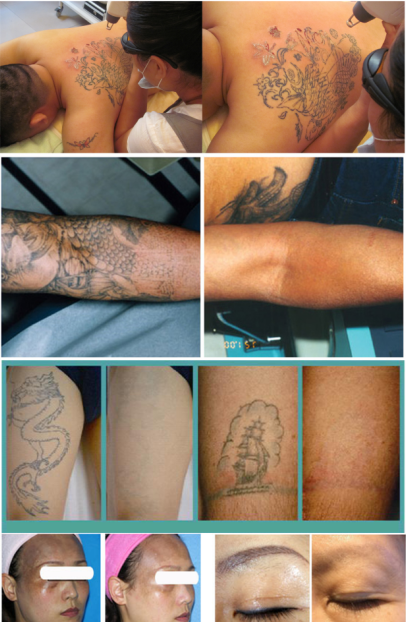 Some tattoos require a little help from the laser in preparation for a cover-up, with a far superior result. 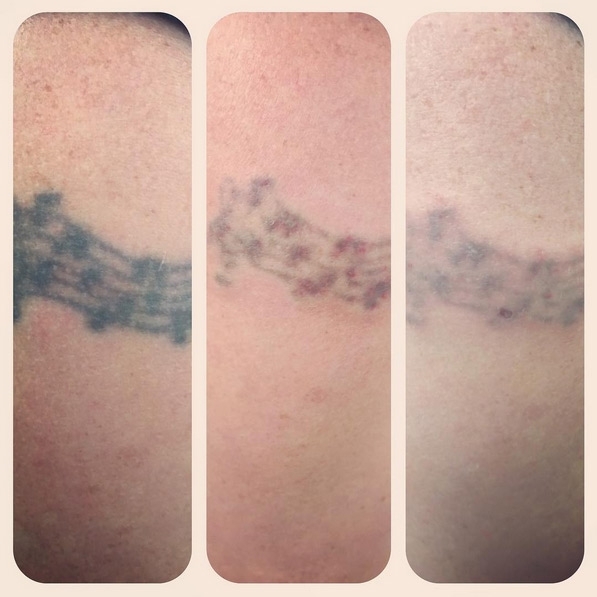 A cover-up tattoo should always look good in its own right. Beware of promises to “cover it with black”. You may end up with a worse tattoo than the original. Even the best cover-ups are rarely 100% effective. If the original tattoo was very dark and strong it may seep back through in time. 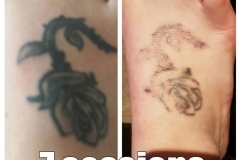 Is laser tattoo removal suitable for anyone? 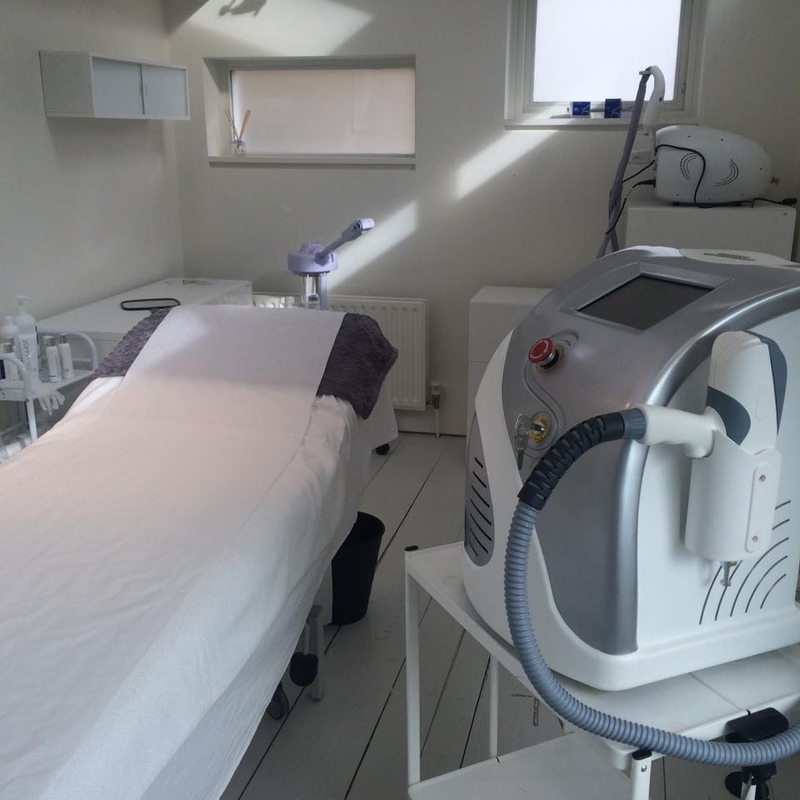 Laser treatments require an initial consultation with questions on your general health and any medication you take. If you are fit and healthy, answer questions honestly and follow recommended aftercare you should be fine. 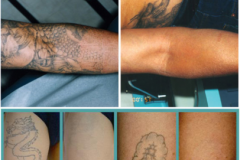 Laser tattoo removal is more difficult on dark skin types. How much is it per removal session? It depends on the size of the tattoo. Zena can give you a confirmed price if you text a photo and give dimensions in cm. See the below diagram for a general guideline. THIS OFFER ENDS 14th February 2019 - BOOK NOW!